The wildlife of Yala and Udawalawe. Sri Lanka is renowned for its wildlife safaris, with pristine environments where protected species roam free. Visit Udawalawe National Park, where sparse vegetation unveils the stark beauty of the area whilst herds of elephants can be spotted feeding together. Gaze in wonder as these gentle giants bathe in pools of water, spraying each other with their trunks. Yala National Park, meanwhile, is home to the largest density of leopards on the planet. These elusive creatures prowl the park looking for prey. Knowledgeable park trackers will accompany you – pointing out storks, fan-tailed peacocks, chattering monkeys and crocodiles as well. Udawalawe and Yala National Park tours are 6-7 hours in duration. Eco-tourism advocates can also visit Bundala National Park – a stunning area of natural beauty stretching across 6,200 hectares. Kumana National Park is also worth a visit, situated in the southeastern part of the island. 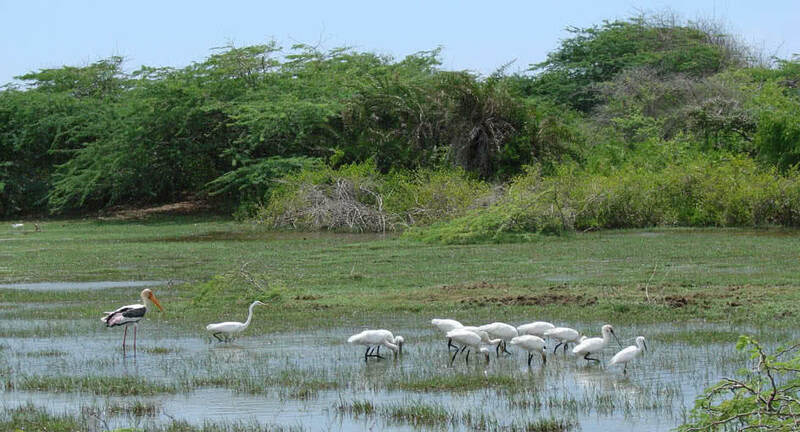 An exotic bird sanctuary, experts have estimated that over 250 species can be found here.